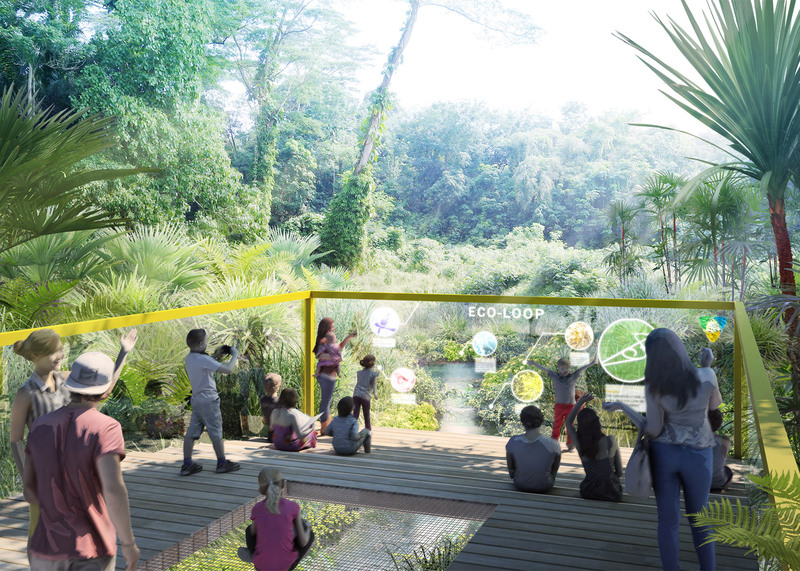 Japanese firm Nikken Sekkei has been chosen to transform a 24-kilometre-long stretch of disused Singapore railway into a High Line-esque park that extends across the entire island (+ slideshow). 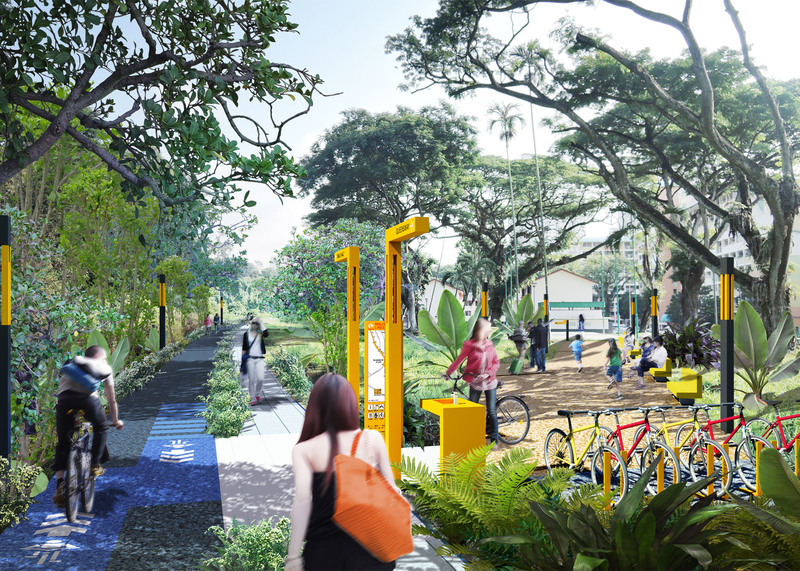 The firm plans to create cycle paths, climbing walls, nature reserves, seating areas and water features along the disused railway corridor that stretches from Tanjong Pagar Railway Station in the south to Woodlands Checkpoint in the north. 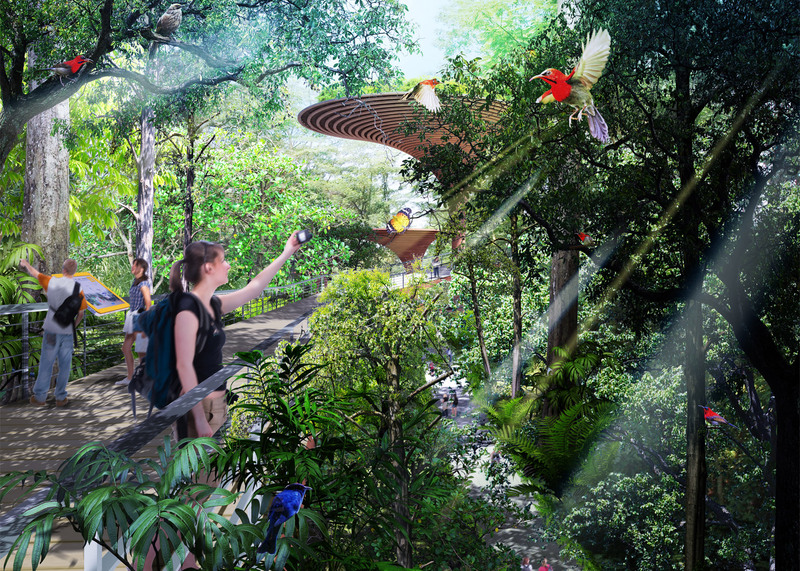 Like the popular High Line in New York, the project aims to create a new public attraction for Singapore. 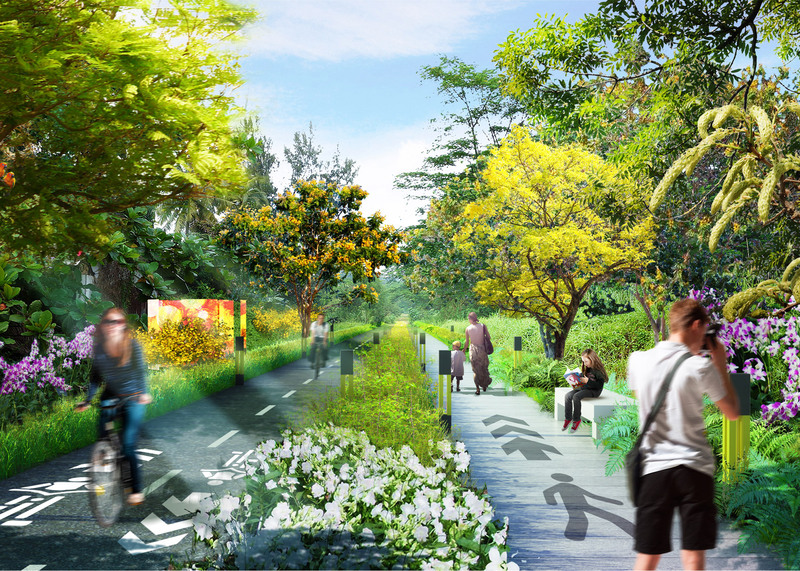 But with a length of 24 kilometres, it will be 10 times as long – connecting a series of different suburban areas. 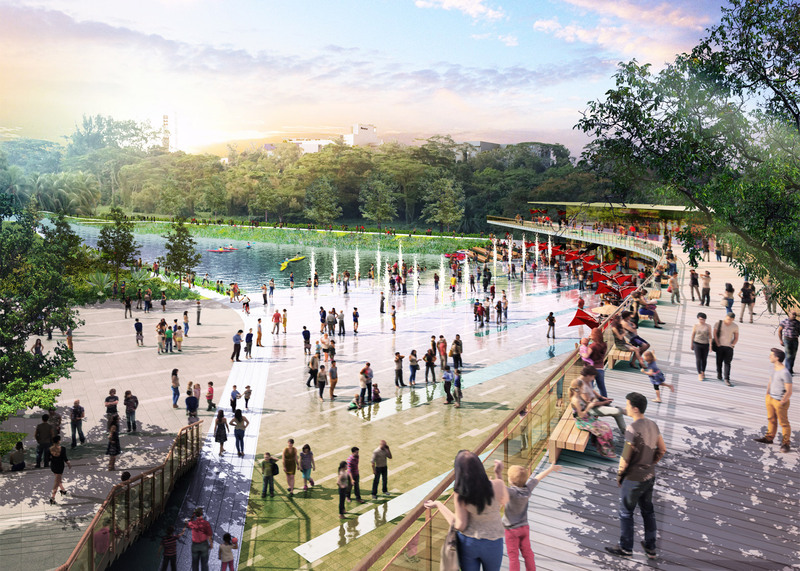 "We captured this design opportunity, not merely as a landscape design assignment but more as public space design project," said Wataru Tanaka, director of integreated public design at Nikken Sekkei. 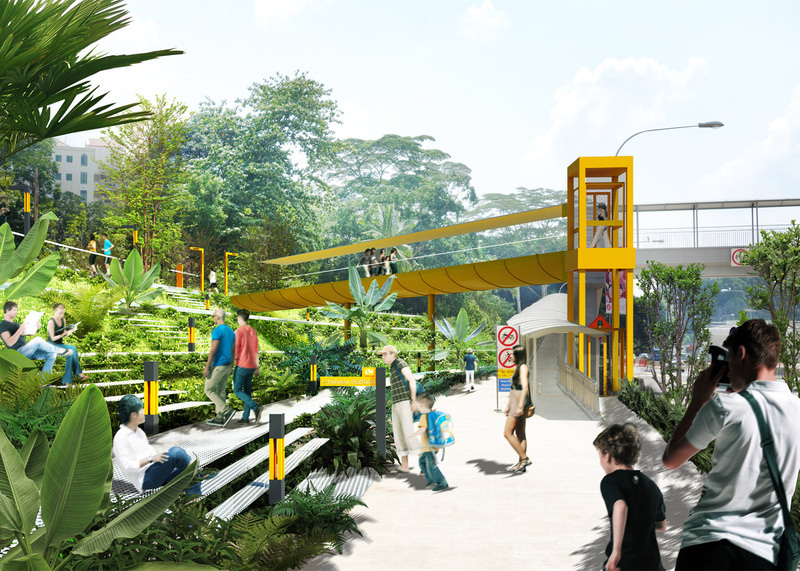 "We took the design approach to integrate the communities the rail corridor touches into the design itself to make a truly meaningful public asset within a broader urban context," he said. 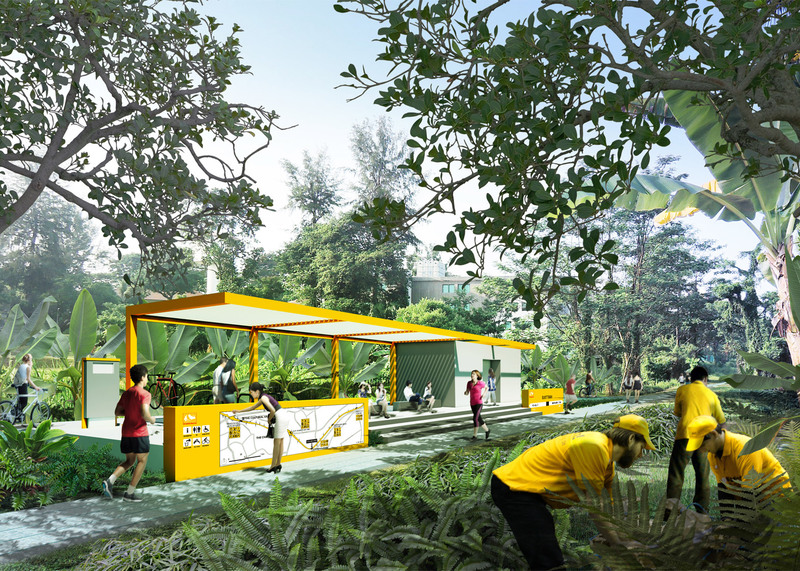 The proposal, named Lines of Life, was selected by the Urban Redevelopment Authority (URA) as the winner in the Singapore Rail Corridor competition at the end of 2015. 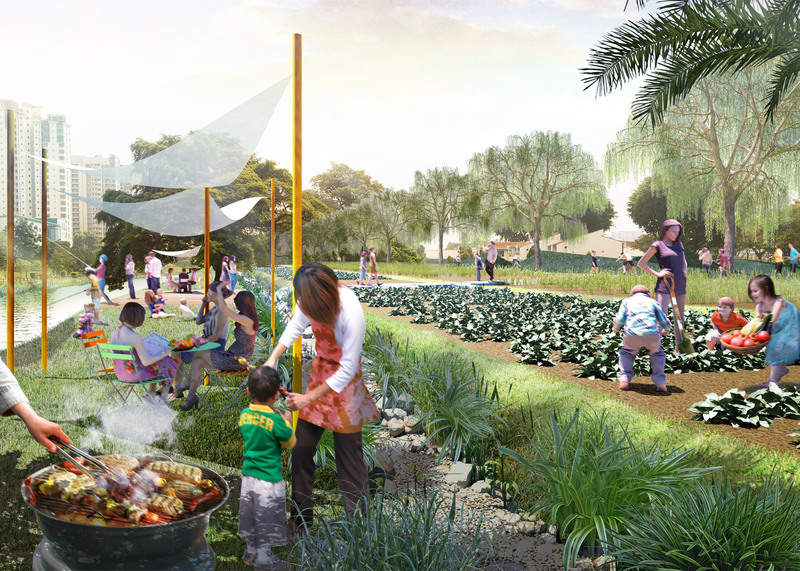 The brief called for a comprehensive masterplan, including specific design solutions for 10 key nodes. 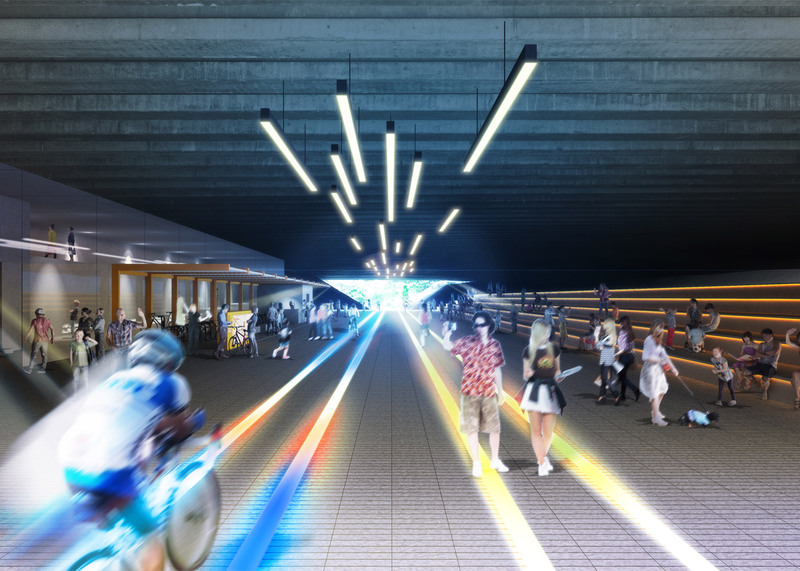 Nikken Sekkei has developed a different strategy for all 10, with names like Northern Nexus, Canal Village, Passage of Light and Green Connector. 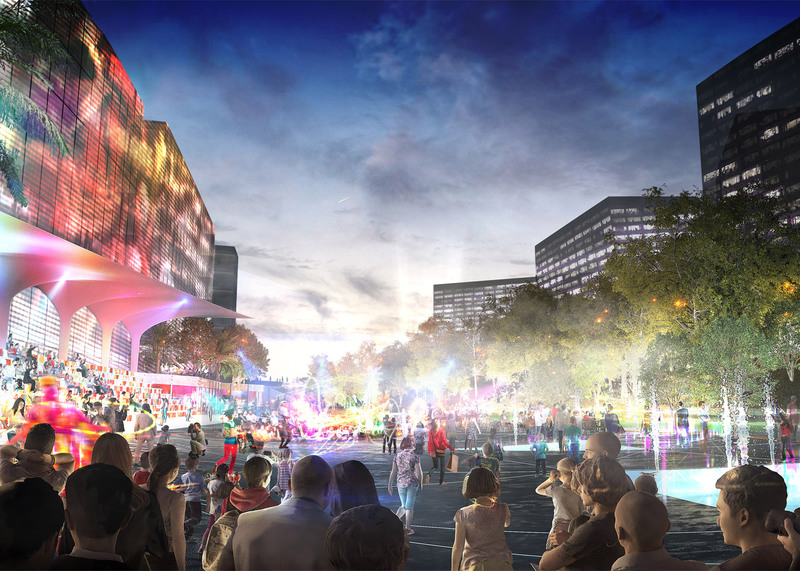 The firm has also broken the volume up into eight distinctive sections, with a total of 122 proposed access points. 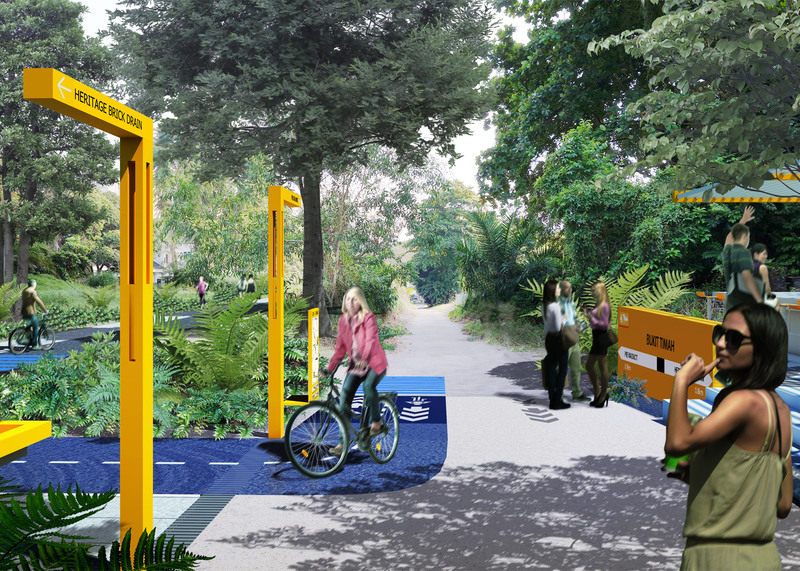 A cycle path will span the entire 24 kilometres. Clear signage is also a key element in the design. 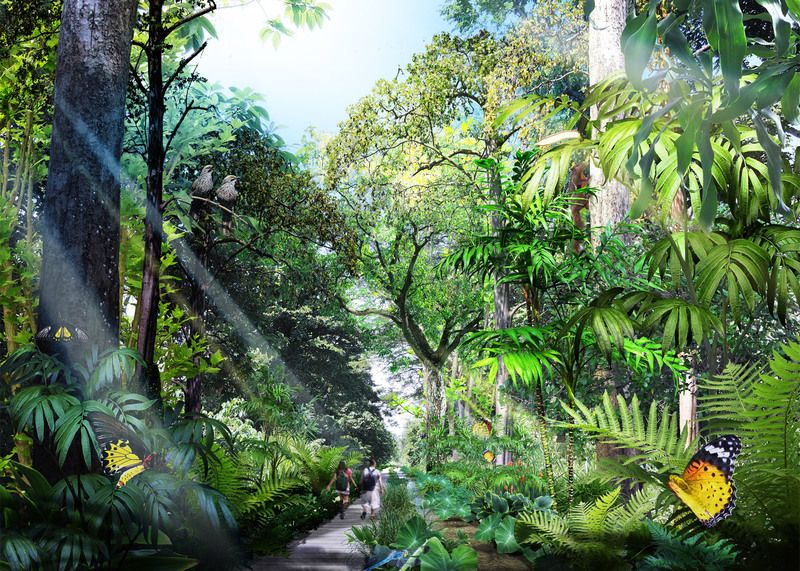 "It presents visionary ideas for the former train line to be planned and integrated seamlessly with its diverse surroundings, over many years," said University of Freiburg professor Wulf Daseking, a member of the judging panel. "The plan is a wise guide with brilliant ideas that is also flexible in terms of implementation," he added. 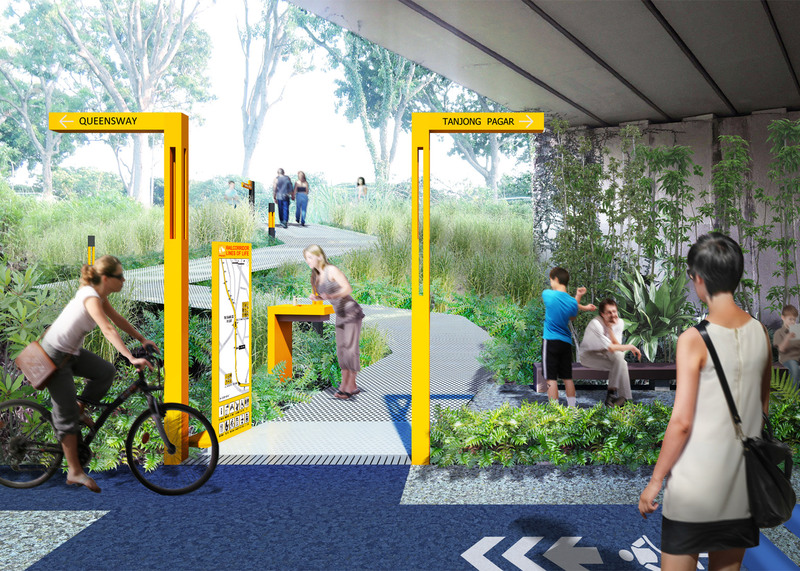 "Green areas, footpaths and bicycle paths as well as surrounding developments along the Rail Corridor are woven together in a very convincing way." 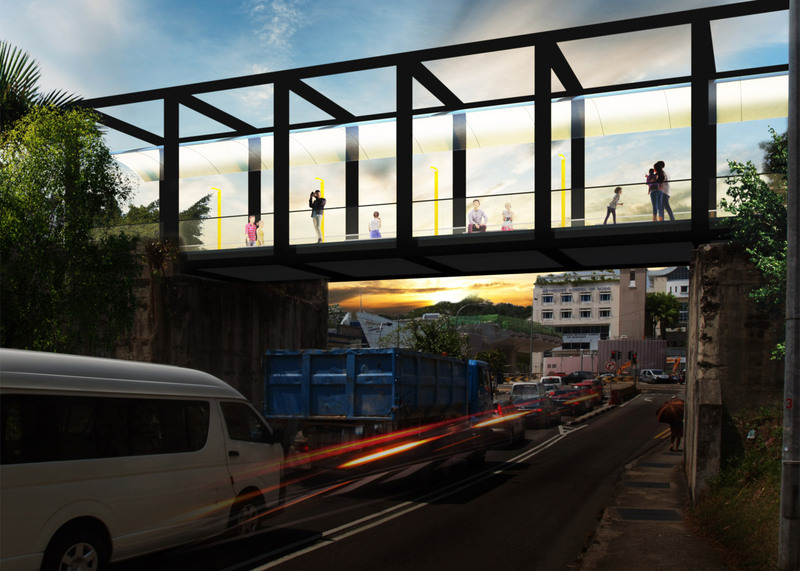 The firm has been tasked with developing a preliminary design and feasibility study for an initial four-kilometre stretch of the corridor, dubbed the Signature Stretch. 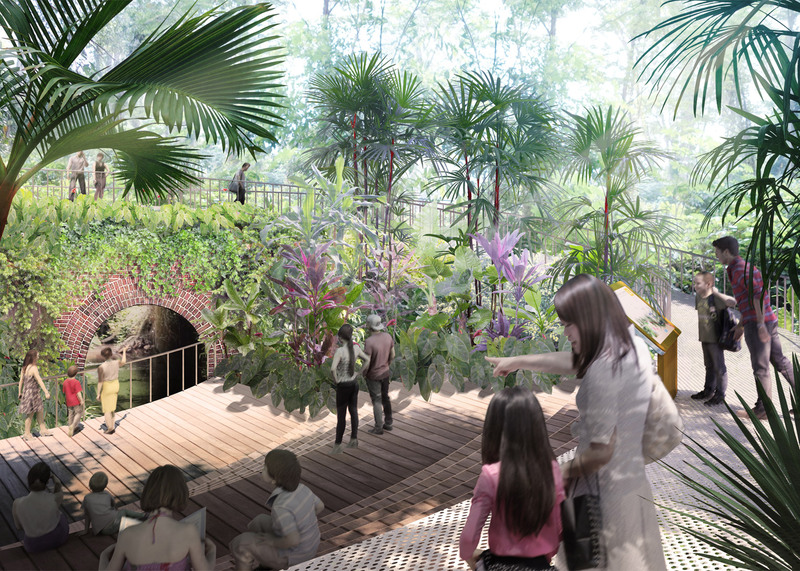 The Singapore Rail Corridor is the latest in a series of projects inspired by the High Line, which was designed by architects Diller Scofidio + Renfro, landscape architects James Corner Field Operations and planting designer Piet Oudolf. 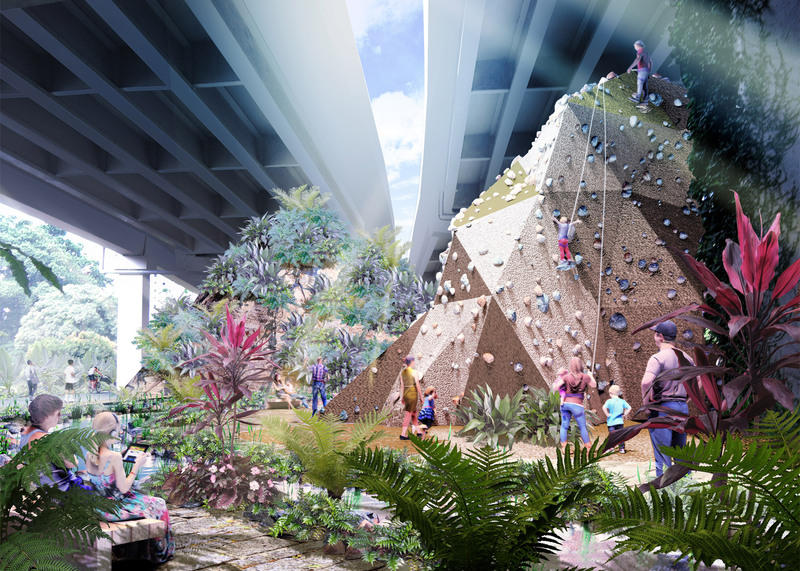 Others include a promenade linking gardens and railways arches along London's River Thames, a three-kilometre-long elevated park in Italy and MVRDV's proposed Seoul Skygarden. 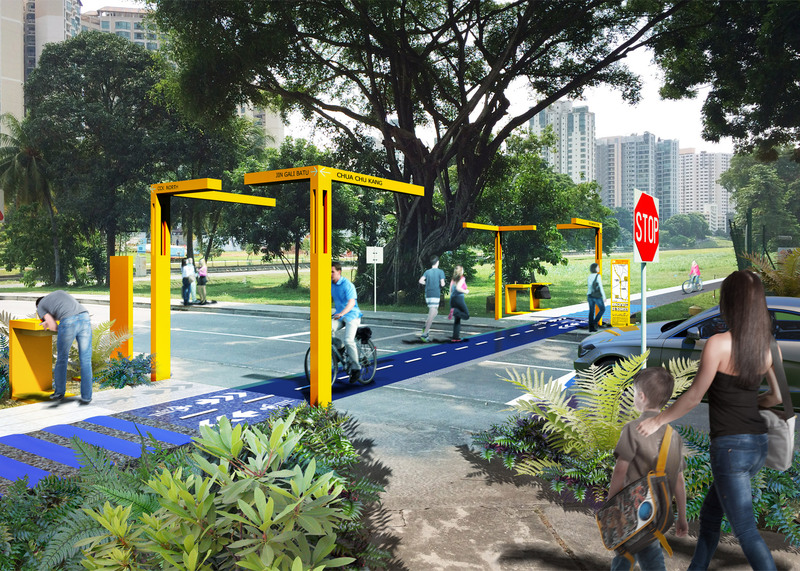 The URA also named two winning projects in conjunction with the competition. 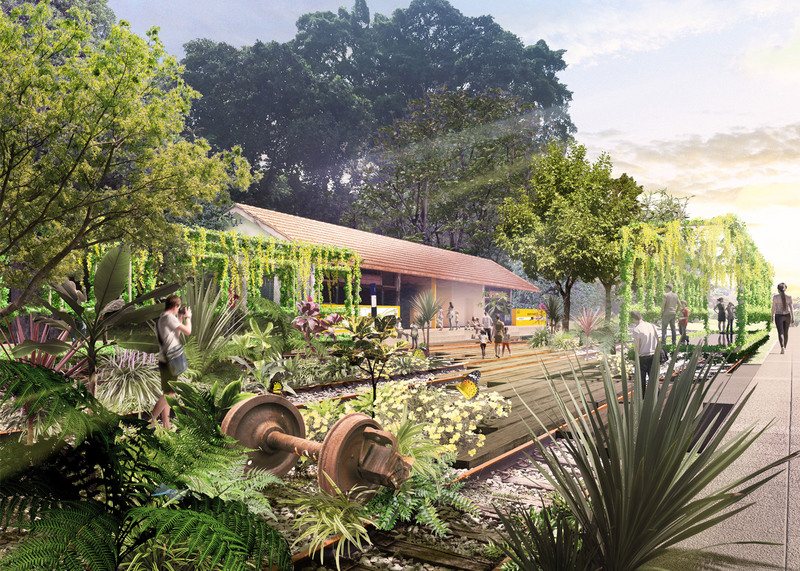 MKPL Architects and Turenscape International were awarded for a housing and garden scheme alongside the railway corridor, as well as for their plan for the adaptive reuse of the former Tanjong Pagar Railway Station. 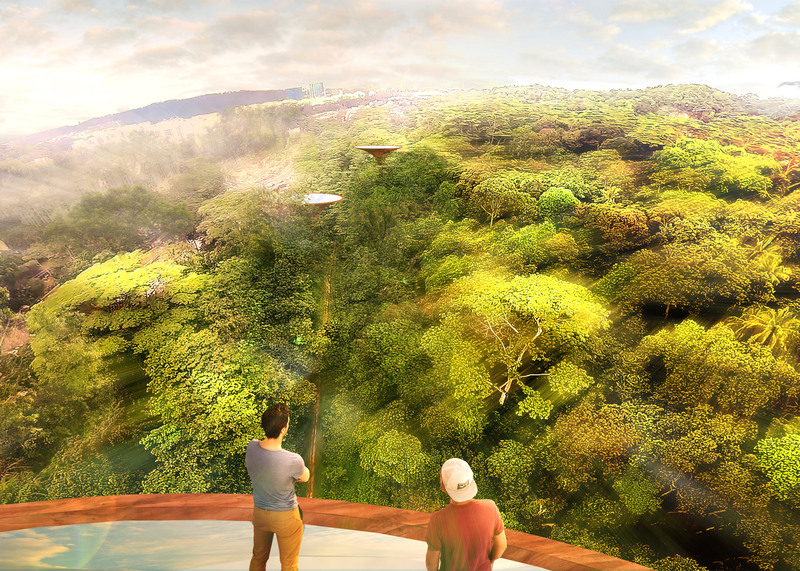 All three winning designs were presented to the public in an exhibition in the URA's atrium.